Protecta Distributor: Manufacturer Trained Supplier of Protecta Safety Products. 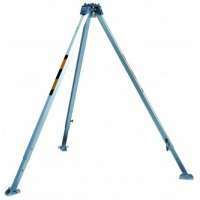 Here at Resmar we are proud to be able to offer our customers one of the finest safety tripods available on the market today, from Protecta, a subsidiary of the Capital Safety company. Capital have over 40 years of experience in the manufacture of fall protection equipment, which are made from tough high quality materials and field-tested to the highest standards in the industry. Being a global market leader in fall protection equipment Capital Safety has more patents, engineers and industry innovations than any other fall protection company and their training and consultancy services are world class as well. They offer enrollment courses that not only meet but regularly exceed world industry standards in fall arrest training with modern hi tech training centres located all over the world. They also offer the best after sales, servicing and maintenance as well as consulting services either at their training centres or on site, which can be tailored to suit your individual needs. As a company they have proved themselves to be the market leaders in the field of fall arrest and height safety equipment and training with an innovative and flexible approach to solving problems and meeting their customers individual requirements. We are extremely impressed with the company and their excellent line of safety products.